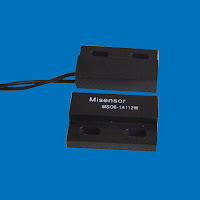 Magnetic Door Contact - Misensor Tech (Shanghai) Co.,Ltd. Misensor has over 20 door and window contacts for you to choose from for your wired or wireless home alarm system. Typically a home burglar alarm system kit comes with two door and window contacts, but that might not be enough to fit all your home security needs. Door and window contacts work with a sensor and a magnet. The sensor is placed on the frame of the door or window, while the magnet is placed on the door or window itself. This creates a circuit between the two. However, when the circuit is broken by opening up the window or door, a signal is sent to the alarm control panel that an entry has been breached. There are two main types of door and window contacts. There are surface and recessed. 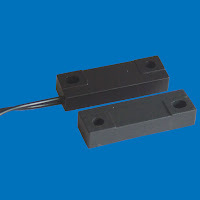 With surface (as the name implies) the sensor is placed on the surface of the frame while the magnetic contact is placed on the surface of the door or window itself. With recessed, the sensor and the magnet are installed inside the frame and the door or window. A third type of contact is a standard garage door contact. A garage door contact is similar to a surface contact in appearance and works the same too. 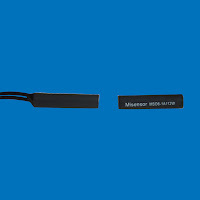 However, the sensor part is usually installed onto or into the floor, while the magnetic part is installed on the garage door or roll up door itself. Remember, the same principles for wired or wireless alarm systems, goes for contacts as well. 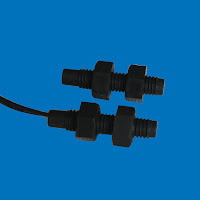 While hardwired contacts are less expensive, they are more time consuming to install. On the other hand, wireless alarm contacts are more easily installed and can be added to or moved to a new location with ease.